Sakis Gouzonis, also known as Sakis, is a Greek composer of instrumental electronic music. Enjoy the beautiful instrumental music of Sakis and share it with your friends. 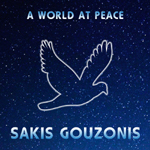 Click the MP3 links below to listen to the beautiful instrumental music of Sakis. Copyright © 2008 – 2019 Sakis Gouzonis (Birth Name: Athanasios Gouzonis). All Rights Reserved. For more music tracks, visit the Music page. Or listen to the full discography of Sakis track by track. Begin with Anthem Of Love. In 2018, Sakis Gouzonis released his 11th instrumental album. Open Horizon contains ten beautiful instrumental tracks. In 2017, Sakis Gouzonis released his 10th instrumental album. Amazing Space contains ten beautiful instrumental tracks. In 2016, Sakis Gouzonis released his 9th instrumental album. Liberating Truth contains ten beautiful instrumental tracks. 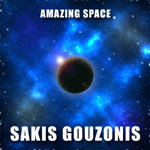 In 2015, Sakis Gouzonis released his 8th instrumental album. A World At Peace contains ten beautiful instrumental tracks. For more instrumental electronic music albums, visit the Music page. "…“Open Horizon” is an album made with a lot of care, love and understanding of the craft…"
"…Cinematic in scope, Sakis Gouzonis creates kaleidoscopic seas of sound with multiple layers interacting in glorious ways…"
"…His songs are what you would expect to hear within the soundtrack from a truly epic movie…"
"…Gouzonis&apos; eighth effort is a triumph of originality and nostalgia…"
"…I truly feel as if I&apos;m floating through atmospheres, dancing among the stars, and watching a divine interplay among the heavens…"
"…The music seems to be made for movies that want to be epic…"
"…A man much decorated in the world of international music and rated to be the biggest export Greece has ever had…"
"…Gouzonis is an excellent producer and songwriter…"
"…He is able to create a living, visual landscape through his music, which seems rare for electronica…"
"…These instrumentals can mesmerize and inspire any listener anywhere on the globe…"
"…Definitely a world class act…"
For press material and more press coverage, visit the Press page. Share Sakis&apos; beautiful instrumental music with everyone. Link from your website to Sakis&apos; website. Make Sakis&apos; website your homepage. Invite Sakis to play live at your place or your special event. What kind of music will I find on SakisGouzonis.com? Free and legal MP3 music tracks. MP3 files to convert them into ringtones. Soothing music for kids or adults. Happy or sad instrumental music. Beautiful instrumental songs for professional movies or homemade videos. Epic soundtracks for motion pictures or TV programs. Beautiful instrumental songs for TV series, radio shows or podcasts. Beautiful instrumental electronic music suitable for video games. Beautiful instrumentals for walking or jogging. Instrumental tracks for focus, concentration, productivity, studying or reading. Relaxing music for ASMR triggers or massage. Beautiful instrumental music for wedding ceremonies. Today&apos;s best instrumental electronic tracks for fashion shows. Sophisticated electronic music for restaurants or airports. 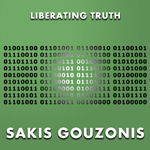 Important Note: For public or commercial use, Sakis Gouzonis&apos; written permission is required. Sakis Gouzonis is a Greek composer. Sakis is the first Greek independent composer who became famous worldwide through music social networks. Sakis composes instrumental electronic music. What is instrumental electronic music? Instrumental electronic music is an instrumental recording without any lyrics. It is written and performed by using electronic music instruments and software. Does Sakis use computers to compose instrumental electronic music? Sakis likes using real instruments (synthesizers, music workstations), not just computers. Sakis is a musician, and he needs at least one real instrument to compose instrumental electronic music.